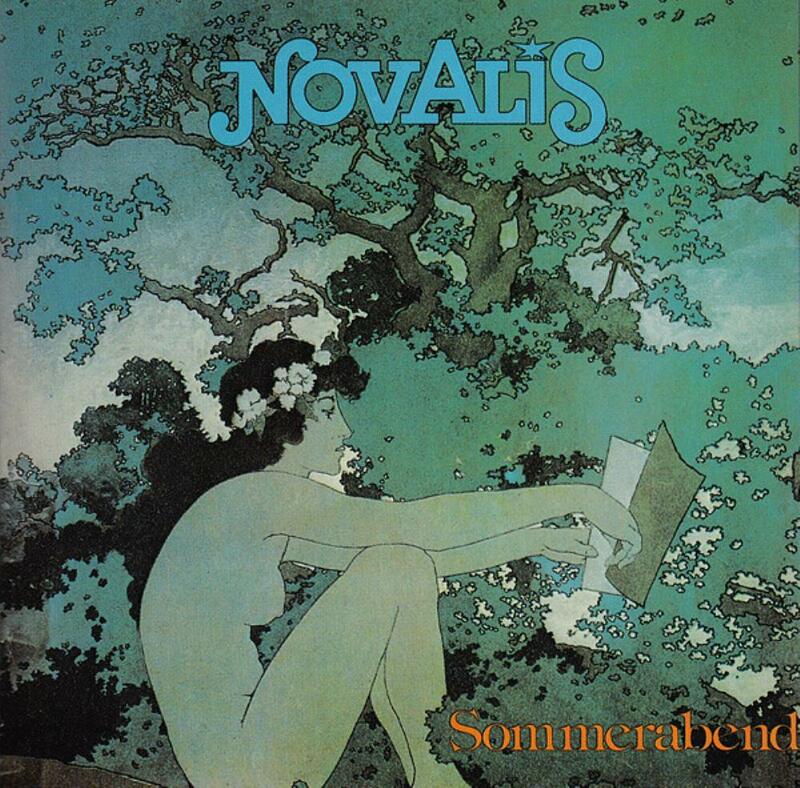 Sometime last year a prog reviewer posted a few reviews of Novalis albums, and as I had never heard of them before I decided to check them out. I picked one album on Amazon which seemed to be the best one to get but "Sommerabend" was a fair bit cheaper and so I ordered this one. Going for the "Close to the Edge"/"Pawnhearts" style of one side-long track and two other tracks, this album from the beginning is one that you know will take a few listens to really understand what's going on. However, the digesting process is shortened by the fact that most of the music is not overly complex, nor are there any complicated twists and turns. This is an album of rather mellow and easy listening synthesizer prog with a frequent appearance of electric and acoustic guitars. In a way, the similarities between Novalis on this album and their compatriots, Eloy are easily recognizable. For my taste, I enjoy the opening track "Aufbruch" the most because it is the most lively and adventurous of the three. This instrumental track alone makes me glad that I purchased the album. There's a good mix of synthesizer-led musical themes and electric guitar-led ones as well. The pace is not fast but still the music feels like it's going somewhere. "Wunderschatze" is a song with German lyrics and keeps with the musical theme established in the first track. However, I find it is not as easy to keep paying attention here. I have no qualms with the German lyrics but as I understand about five words and three phrases in German, I can't say the lyrics arrest my attention. As I listen to this track while walking to or from the train station, my thoughts wander and I have to concentrate to bring them back to the music. A pleasant composition to be sure but nothing to keep me focused. Side two is devoted entirely to the multi-part title track. For most of the duration, the song is very relaxing with either synthesizer or acoustic guitar leading the way and more soft and meditation-inducing German vocals. At one point, I'm not sure which part, there's a clanging guitar sound and the song suddenly becomes very lively and sung with a chorus of voices (well, perhaps a trio at least). The synthesizer solo steps up to the front and it seems the song has progressed. But soon we return to the softer themes and the song closes like this. Very nice to hear when I have other things to occupy my mind. I did try to listen carefully to the entire track one night as I walked home. It's good enough but not so thrilling for me. I like this album and I love the colours of the cover. But there is little here to get e excited about Novalis. It's just an album that's nice to have in my collection and may get played from time to time when I happen to notice the soothing and trace-inducing aquatic colours of the cover. I may yet get around to buying the album that came before this one, the one with the butterflies. I have a strong feeling that the two will make a nice pair.